FAYETTEVILLE, Ark. 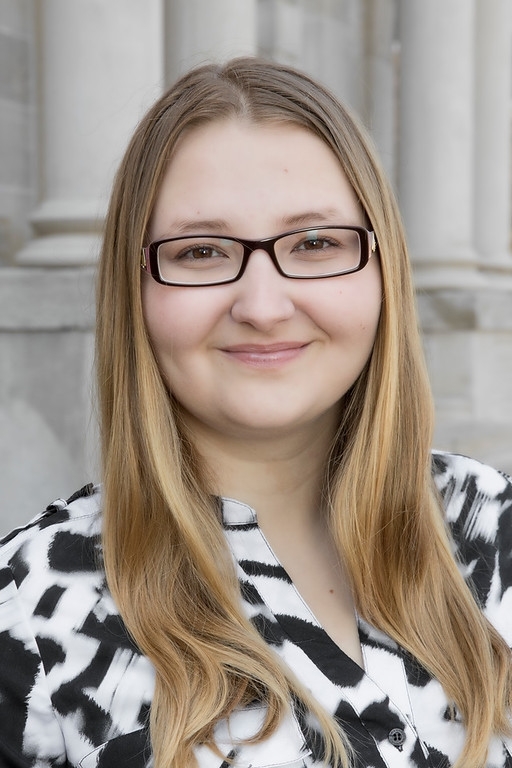 – Olga Brazhkina, a junior at the University of Arkansas, has been named a 2018 Barry M. Goldwater Scholar. The Goldwater Scholarship is the nation’s most prestigious award for undergraduate students who plan doctoral studies and research careers in the fields of science, mathematics or engineering. Brazhkina, from Fayetteville, is an honors biomedical engineering major in the College of Engineering. She is an Honors College Fellow, an Arkansas Governor’s Distinguished Scholar and a National Merit Finalist. The Barry M. Goldwater Scholarship was established by Congress in 1986 to honor the United States senator. About 200 scholarships are awarded each year to college sophomores and juniors nationwide. The purpose of the program is to provide a continuing source of highly qualified scientists, mathematicians and engineers by awarding scholarships to college students who intend to pursue careers in these fields. Universities and colleges may nominate up to four students each year. Brazhkina has performed her research at the Cardiovascular Biomechanics Laboratory in the Department of Biomedical Engineering, directed by Morten Jensen, associate professor and Arkansas Research Alliance Scholar. Brazhkina has presented her work at the Annual Meeting of the Biomedical Engineering Society and at the annual Freshman Engineering Program Honors Research Symposium, and she has received an Honors College Research Grant to support her work. Upon completing a doctorate in biomedical engineering, she plans to pursue a career as a professor, researching cardiovascular biomechanics and device design. Outside of research, she is an active member of Phi Sigma Rho engineering society, Tau Beta Pi engineering honors society, Engineering World Health, and the Biomedical Engineering Student Advisory Board. “Olga is a high-achieving and research-oriented student, and I have no doubt that she will reach great success based on her impressive track-record, enthusiasm, and drive,” Jensen said. "She has already demonstrated an understanding of the engineering design process to create innovative solutions when we bring engineers and clinicians together to address serious cardiovascular conditions. It has been a privilege to serve as Olga’s research mentor, and I look forward to seeing her pursue the doctorate in biomedical engineering, complete a postdoctoral position, and finally become a professor and principal investigator of her own research lab." Brazhkina is the 53rd University of Arkansas student to be named a Goldwater Scholar. University of Arkansas students have been named Goldwater Scholars in 22 of the last 23 years. The overall number of Goldwater recipients places the University of Arkansas in the top 20 public universities in the country. Previous Goldwater Scholars have gone on to become Rhodes, Marshall, Gates Cambridge, Fulbright and Udall Scholars, as well as National Science Graduate Research Fellows. They have pursued doctoral work at prestigious programs including the University of Arkansas, University of Virginia, University of Michigan, University of California-Berkeley, University of Pennsylvania, Cambridge University, Columbia University, Cornell University, MIT, St. Andrews (Scotland), Oxford, Princeton University, Stanford University, and Washington University. U of A students interested in applying for competitive scholarships like the Goldwater Scholarship should contact the Office of Nationally Competitive Awards at awards@uark.edu.